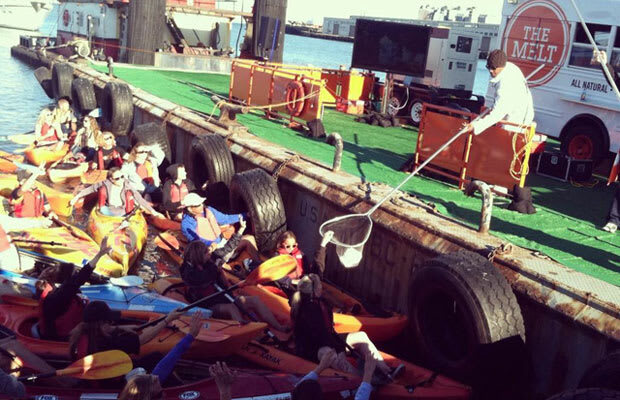 Yesterday, in the Bay Area, MC Hammer handed out grilled cheese sandwiches from a barge to folks in kayaks. The free sandwiches were courtesy of the Melt. Does this happen every day? Unfortunately, the answer is no. But dammit, it should.